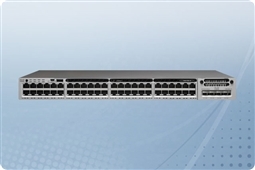 Cisco Catalyst 3850 Switches are the ultimate answer to easily scalable switching solution that assists in getting Small to Medium size businesses (SMBs) ready for 802.11ac and Wave 2 wireless connectivity technologies! These powerful Cisco 3850 Series switches come in a wide variety of models and specifications to facilitate any IT Professional in finding a perfect fit for their network requirements! 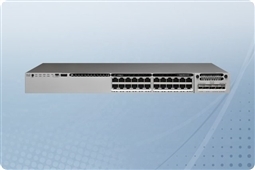 All Cisco 3850 Switches come with a minimum of 1 Gigabit Ethernet connectivity, and many come with SFP and SFP+ Uplinks as a part of their configuration. Additionally, Power Over Ethernet (PoE and PoE+) and Cisco StackWise capabilities are on many models adding to the versatility of these fantastic switching solutions! 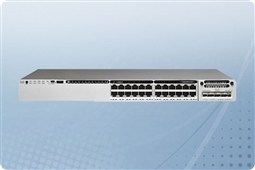 This and more makes the Cisco Catalyst 3850 family of switches the perfect candidate for making sure your networking infrastructure keeps up with the requirements of today as well as prepares you for new technologies in networking for the future. All Aventis Systems Cisco Networking products come with a standard 1 Year Aventis Essentials Warranty with upgrade options to Express Next Business Day Parts Replacement and Extended Term Warranties as well as Onsite Support Service Level Agreements. Check out our product options below and find the best value and simple connectivity for your business today with the Cisco Catalyst 3850 Switches!